Whitman College Professor Aaron Brobow-Strain, founding member of the Walla Walla Immigrant Rights Coalition in Washington State worked on the U.S.-Mexico border as an activist and educator during the 1990s. Today he shares some of the stories from those facing detention centers, immigration courts and an increasingly militarized border. One of these stories is that of Aida Hernandez, a woman who with her family crossed the border at Agua Prieta, Mexico to Douglas, Arizona. Undocumented and then deported, she embarked on a harrowing journey to reunite with her son. 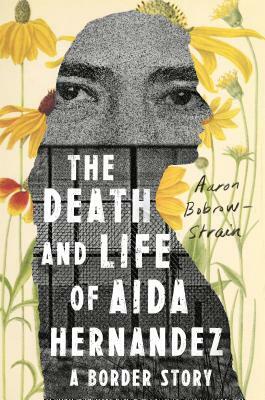 In The Death and Life of Aida Hernandez (Farrar, Straus & Giroux), Aaron Bobrow-Strain brings us into the heart of a violently unequal America. He also shows us that the heroes of our current immigration wars are less likely to be perfect paragons of virtue than complex, flawed human beings who deserve justice and empathy all the same. Also appearing on tonight’s program is Monserrat Padilla, Western Washington Coordinator of the Washington Immigrant Solidarity Network. An organizer for LGBTQ, immigrant and communities of color on the ground for over 10 years, she was a co-founder of the Washington Dream Coalition and has led national & statewide campaigns, including the victory on the Washington State Dream Act to expand eligibility for state aid in higher education and she has worked as a the National Program Coordinator for the Queer Undocumented Immigrant Project.